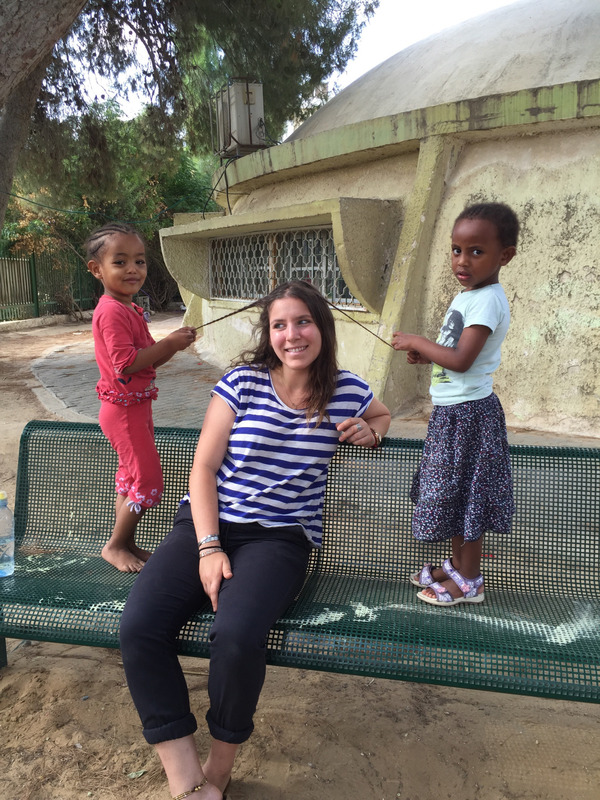 Today’s blog was written by Miriam Aniel, a participant in the Yahel Repair the World Onward Israel Service Learning Initiative in Israel. 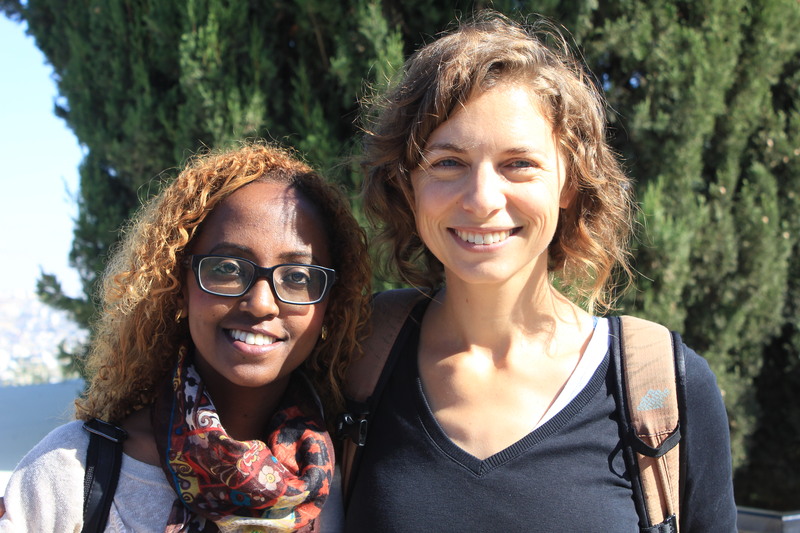 Miriam volunteered at a women’s shelter in Be’er Sheva for six weeks this summer. Kids fight and make up. Kids stab each other with their words, then join each other for pretend-tea-time. Kids scream and fidget, hug and whine, kiss and trust. Big emotions in small people flare and fade quickly, irregardless of time. Weeks, hours and minutes hold no weight in the world of the gan (kindergarten) at the women’s shelter where I have spent my afternoons volunteering over the past six weeks. Instead, our days together are carved into small bites: 4 o’clock snack, a scuffle over computer games, coloring time, moments of kindness, playground adventures. Last week, my co-teacher and I were tasked with telling our group in the gan that we were going to leave them. The reactions varied, but all were clear; faces fell, some asked ‘why?’, others retreated into silence. Leaving is a complicated thing in the women’s shelter– the children who reside there have dealt with the many faces of leaving: leaving a home, leaving a father, a family, a world behind. As our date of departure drew nearer, the children began to count down, measuring our time by the day for the first time. Individual moments simultaneously felt more important and more slippery; the harder we tried to hold on to every hug and smile, the more quickly time seemed to past. At the end of our experiences together on this Yahel journey, I find myself asking what it is to say goodbye and how to do it. How do I say goodbye to the children? Their mothers? My peers on this program, many of whom are now dear friends? How do I say goodbye to my previous perceptions of Israel that have been challenged and changed? 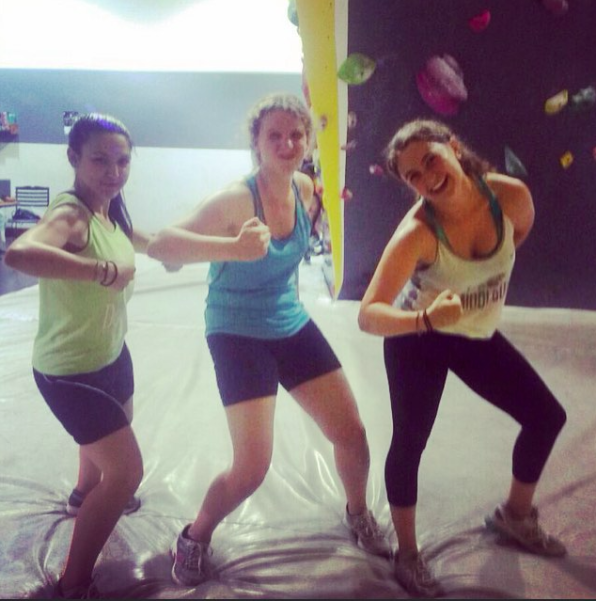 How do I say goodbye to an incredibly full experience at the end of 6 weeks? One of my closest friends at university whom is also on this program has decided recently that she will be making aliyah in the coming months. 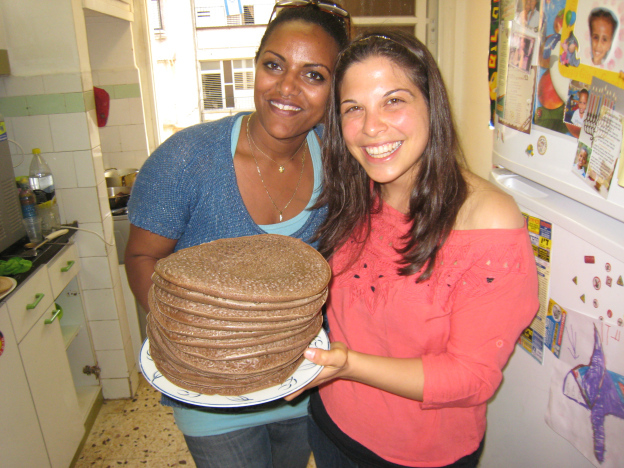 How do I say goodbye as she moves on to the next chapter of her life in Israel? Our final day at the shelter passed by unexpectedly fast. Panic ensued–what if I don’t remember every face, every word of parting? Every sentence became the last one to be said, every scribbled drawing one to be kept forever. But as the day progressed, it became clear that how I viewed our last hours together was not a viewpoint shared with the children. They still whined, they still fought, they still trusted. Our afternoon was exactly as every afternoon had been before it, and to strip it of normalcy was an injustice both to its beauty and to the strength of these children to find stability. As the hours continued, I realized that to sit and eat a cookie with a loving 6 year old was quite enough; to grab at the significance of past minutes or to worry about future moments together–or apart– was a waste of the specialness of our snack-time together. As we ate our cookies, our coordinator at the shelter asked each child to ‘give his or her blessings’ to the volunteers (a shelter tradition) as we prepared to leave. Instead of dramatic farewells, most were silent; one special little boy wished that we would all have balloons, dogs, and small dogs wherever we were headed, another wished for us a house with a lot of things in it. And with that, mothers came to collect their children a few at a time, and the day gently drew to close. Our days together were over, but the moments that had filled them were no less complex. In saying goodbye to the children at the shelter, many of whom I will never set eyes on again, I learned something very important. To cling to a moment in time and all of its trappings is to lessen the experience of the current moment, the unequivocal now. To fully submerse oneself in an experience, to hold it close to the heart and absorb all that it has to offer, is a beautiful thing–and, as our world becomes fuller, an increasingly rare one. But in refusing to ‘let go’ of the moment and to prolong that submersion is deny yourself the opportunity to fully live–and love–in the moment. We can’t demand of ourselves that we remember in detail every moment in which we have loved. We can’t ask or expect the children or our friends to always remember us–that isn’t our purpose in being here. 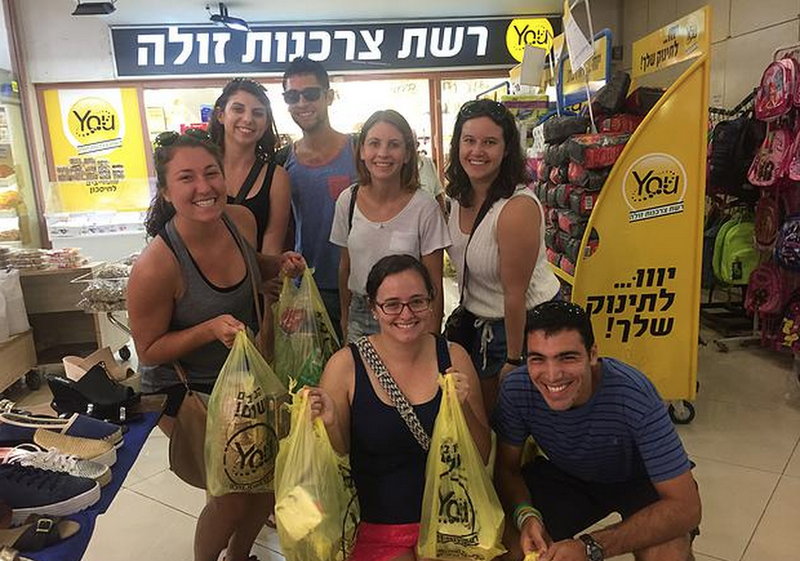 In the first weeks of our time together on this Yahel experience, our group madricha gave me some invaluable advice: when faced with change, find the time and space to hold yourself gently in the vulnerability and to feel the breadth of your experiences. By holding ourselves in each moment, we can experience its significance and beauty. But by giving ourselves the space to let go and move forward, we allow ourselves to fully experience the richness, complexity and perspective that are inherent to the most significant moments in our lives.